Photos courtesy of Bethan Miller. The very last time I was lucky enough to see Daughter was way back in 2011 during her Swn Festival performance in Cardiff. Playing to what I believe was no more than 100 people the then soloist commandeered a stunning and intimate show that would mark the new beginning of her recording career. Now as a full band and with a debut album to add to their acclaimed list of EP's and singles Daughter return to play Cardiff's The Great Hall. Support for the evening came in the form of Indians. Having recently signed to renowned label 4AD Copenhagen resident Søren Løkke Juul has slowly been making a name for himself with his unique blend of synths and piano, he wastes no time in expressing this as he takes to the stage in an understated way. As the layered piano opening begins to build beneath a haze of modulated patched in effects Juul's crystalline vocals begin to strike a chord with the eerily calm audience. By the time he introduces himself and thanks the crowd you quickly pick up on how this might just be the friendliest man to ever walk the face of the earth. Hell, you might even find yourself at the merch stand buying his record based solely on his lovable charm displayed. It helps though that the music ain't half bad either as I try to comprehend how everything tonight is made entirely from the incredibly simple set up of a keyboard, microphone and effects unit. As the pre-programmed drums hit you with an almighty force Indians rounds up a magnifying performance as he praises the Cardiff crowd profusely. Now I think it's probably best that I get this off my chest beforehand or I'll end up writing a whole review on the audience alone. Having attended 100's of gigs in my time I can honestly say that the crowd here tonight was by far one of the most disrespectful I have ever seen. Not content with talking all through the support act they decide to talk all through the headline performance also. One guy even having his back to the stage as he chatted amongst friends all laughing and joking. Maybe I'm a different kind of gig goer to most but when a certain type of artist takes to the stage that requires full attentiveness i.e. Daughter I feel their music deserves complete concentration in order to create the most compelling atmosphere. After all, live music isn't just about listening. It's a full body experience. With the talking so loud during some songs it was on times quite hard to hear the band beneath the dreary rumble of chatter. If not for the small majority of people trying their best to enjoy the show I believe the whole night could have been ruined by such a menial thing. Determined not to let that happen through gritted teeth I raged on the inside over how people can pay money to see a band they quite clearly love and then proceed to talk loudly throughout. Next time do us all a favour and go down the pub, put the bands music on your phone at the centre of the table and talk amongst yourselves there instead. Cardiff, you were most disappointing. That aside Daughter's performance was nothing short of mesmeric. Opening with the enchantingly gripping single Still it didn't take long to see how much progression has taken place since 2011. As thunderous drums began to set the scene from the opening few notes, without a moment to spare the unassuming crowd were quickly thrown in to Elena's distraught nuances. Magnifying in intensity as violin bows abraded over guitar strings, once only a done thing at Sigur Ros concerts, smoke form the stage began to bellow its way out in to the audience. Its almost fog like state creating a transforming blanket of energy. There's a ghost-like quality to Daughter's music yet a boldness that is so gratifyingly demonstrated in Tonra's vocal ability as she fights to overcome the crashing of cymbals. 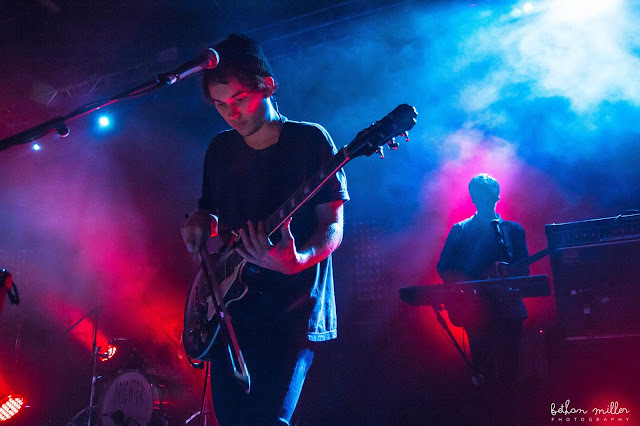 With the band switching dynamics so fruitfully between haunting ambiance to an overwhelming frenzy the clarity remains to stay most prominent. The extended 8 bar verses all adding to the moment. With the band's setlist largely drawn from their debut album 'If You Leave' it was refreshing to hear tracks from the 'His Young Heart' and 'The Wild Youth' EP's also making the cut. Landfill and Candles both sounding equally dominating as they are tranquil proving to be quite the inclusion as their innate beauty swept throughout the venue's rafters. Whilst the sound tended to fall short between Elena's bashful thank you's and brief stage banter due to the muffled audible quality there was no denying the sombre intensity in the trio’s soundscapes with Youth getting the biggest sing along of the night. As the set moved in to its final stretch, the vulnerabilities began to seep back in as despairing fragility and barren openness became surrounded with by Elena's sharp lyrical content. The shear depth and devotion within their music is something that deserves to be heard by all. As I try not to tarnish a great show through the the disrespect of some I can't help but feel any hope of an empowering atmosphere was killed as the searing silence between notes was greeted by off-topic laughter. Thankfully Elena's bitter sweet musings were met with great applause so all was not lost and the band didn't seem to be too miffed (unless they were hiding it very well) as they rounded up on Home's ethereally gorgeous tones. Returning to the stage for a one track encore it was shockingly to be my first time hearing their cover of Daft Punk's Get Lucky. Transforming the originals danceable vibe in to a heart rendering, genre defying transplant through disconsolated vocals and spacious rhythms came a dark and mystifying rework. A perfect and very fitting end to the nostalgia blanketed showstopping performance. 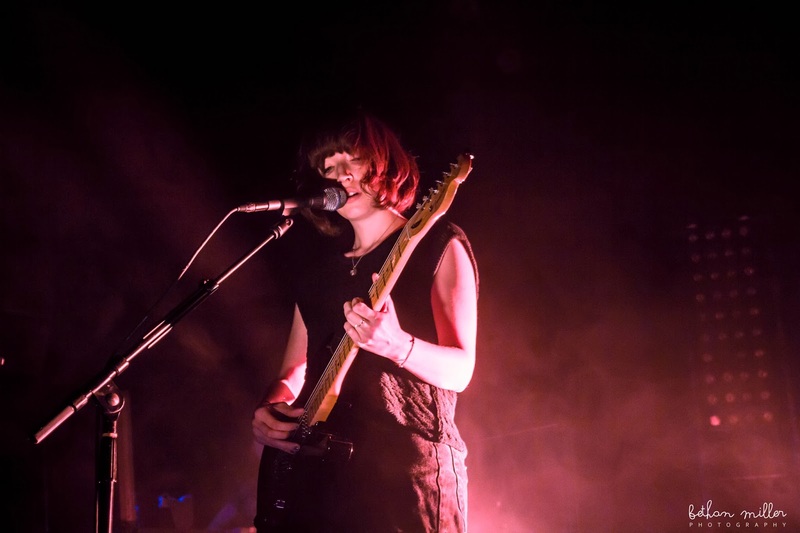 It would seem like settling in to the bigger venues has been second nature for Daughter, watching them mould and refine their sound over the years has been a truly fantastic journey. As they continue on their road of success who knows what's around the corner for the young three piece. You can see more photos from the night courtesy of Bethan Miller over on her facebook. Daughter will go on to play the following dates below.